King Salmon Sir, Ma'm? 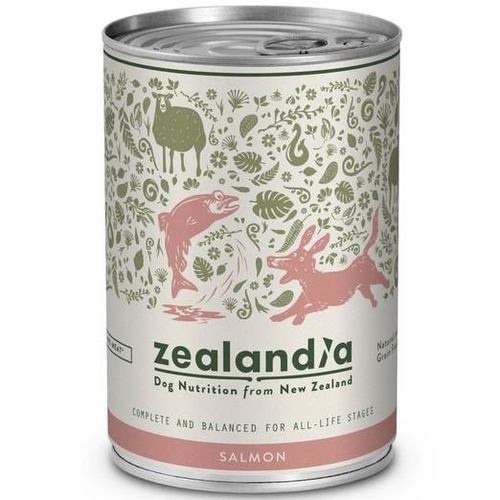 A divine fish for eating, pets will relish a protein high in a remarkable nutrient called Astaxanthin 'King of the Carotenoids'. Salmon is sustainably farmed, and provides strong levels of potassium, selenium, B12 and Omega 3 acids. A divine fish for eating, pets will relish a protein high in a remarkable nutrient called Astaxanthin 'King of the Carotenoids'. Salmon is sustainably farmed, and provides strong levels of potassium, selenium, B12 and Omega 3 acids. 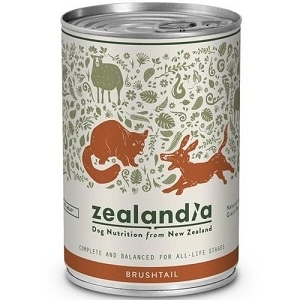 Zealandia creates natural, delicious pet nutrition for dogs and cats. 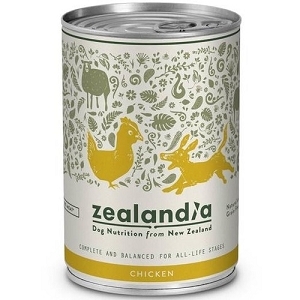 Made in our boutique canning plant in sunny Gisborne, New Zealand, we proudly offer an exciting range of canned pet foods formulated to provide complete and balanced nutrition, keeping pets healthy and vitalised. 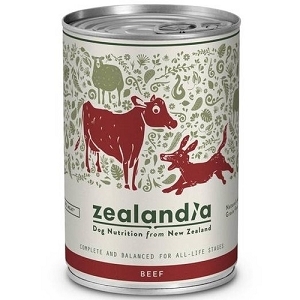 We use a precise base of enzyme-rich green lamb tripe in each can, complimented with two effective stand-alone supplements; Zoki Oil® for Promoting Skin & Coat Health, and FlexiPet® for Joints & Connective Tissue Support.